'After having rejected and sometimes also being rejected by 32 men in my unsuccessful journey to matrimony, I prayed that it would be love at first sight with motherhood,' says Priya Ramanathan. 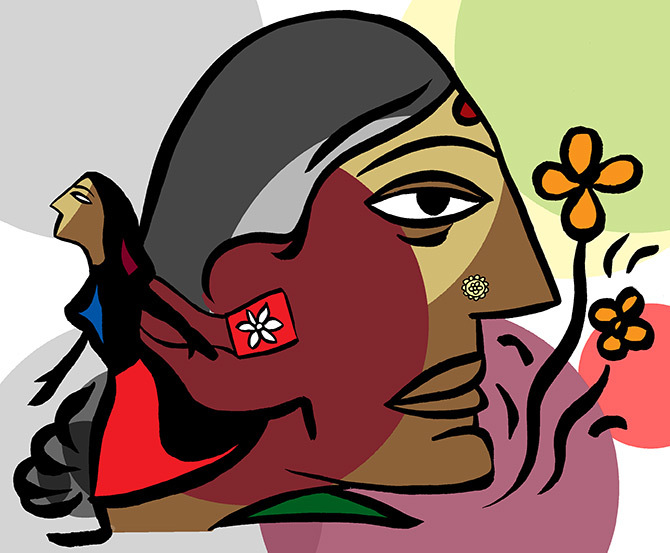 A fascinating excerpt from The Best Of Tall Tales: True Stories from India's Longest Running Storytelling Series. Growing up, I always swore I'd never be the kind of mother that mine was to me. She was dominating and pushy, not to mention excruciatingly critical. When I have a baby, I will be cool, democratic and breezy, I told myself. But the reality turned out to be something else altogether. After years of obsessing over wanting a baby, my son finally came home to me on 23 December 2010. I had conceived him four-and-a-half years earlier, he was born seven months and eighteen days before that, and I got pregnant with him five months and eight days prior to that. If that sounds convoluted, it's because it is. So, I have wanted a baby since forever. Even before I got my first period, I remember my friends would tease me that if I ever took a random pregnancy test, even without the mandated precursory 'workout' regime, I'd still come out positive. They meant it as a joke, but I think it might not be too far from the truth. When all my classmates and friends were harbouring ambitions of becoming VPs and CEOs, my only desire was to be happily married and be a mother of two by the age of thirty. I pictured myself packing home-cooked meals, braiding my daughter's hair, and waving to my children as they left for school. At thirty-one, I found myself single after a bitter breakup and viciously hateful of men. It was then that I decided to go with plan B: Ditch marriage and head straight for motherhood. When I first told my traditional Tamilian parents of my intentions, Appa was intrigued and Amma was horrified. She begged me to wait for a few months so she could find me a suitable Tamil boy. 'Marry him and then have babies,' she said. Now, I'm usually very rebellious with my mother, but on this occasion, I decided to go with it because I felt it was a fair ask. In the coming days, I watched her move heaven and Earth to find me the ideal life partner. Six months turned to a year, a year turned into two, and two years turned into four. And then, finally after kilos of upma, vada, idli and gallons of filter coffee had been given out to no avail, Amma finally abandoned the manhunt, hung up her boots, and gave me and my adoption plans her blessing. That's how I got pregnant with my son on 15 July 2010. It was the day that I first visited the agency in Sion (north central Mumbai). I was unbelievably excited but my bubble burst about three minutes into my appointment. The director told me I was not an ideal parental candidate because I was single and I could not provide a child with a wholesome family atmosphere. Naturally, I was devastated, but decided to plough through all the same, once I realized that she could dissuade me but not fully stop me. I registered immediately and started the process which included a whole gamut of legal procedures. I had to arrange for court affidavits for guardianship, get referrals and testimonials from friends, and had to organise statements from family and medical health professionals who would certify my competence. I had to also get tested for life-threatening illnesses to ensure I lived long enough to look after a child. It is a long, drawn out, rather painful process that can easily scare off or dissuade someone from adopting. But I already felt pregnant, so I refused to go home without a baby. I took things one day at a time and kept my eyes firmly on the prize. Then one day, barely two months after registering, I was told that a baby had been matched with me. I was also told it would be a boy. Knowing that, one of the first things I did was pick out a name. I would listen to the Vishnu Sahasranama every day and the name that spoke to me the most was Atindriyah, which means, 'beyond the comprehension of the sense organs' and that is what my son is to me. In fact, one of the first things I was told about the child was that he has a hernia -- a condition I had as a child. Because of the hernia, he was declared surgically needy and had been passed up by two families. Strangely, that defect became our connection. I didn't give birth to him, but I felt he still had a little bit of me in him. I first met Atin when he was five-and-a-half months old. I was scheduled to take him for the mandated pre-adoption medical examination. After having rejected and sometimes also being rejected by 32 men in my unsuccessful journey to matrimony, I prayed that it would be love at first sight with motherhood. What if he was amazing, but there was just no spark -- no connection? But one look at the tiny baby in a pink bonnet and I knew I had found the love of my life. In biological pregnancy terms, that would be the moment that I felt the baby move inside me; suddenly my motherhood wasn't a concept anymore. One of the things that the agency did was to instruct potential parents to meet their future children so that both could get to know each other. This was designed especially for the children so they could get comfortable with their possible new parents. It was surreal to be allowed a privilege that biological parents are denied: The joy of holding and talking to a baby before actually becoming a parent. I would meet him, talk to him, coo to him and sing to him. It was an excellent bonding period that taught me three things about my son: 1. He had great taste in music; 2. He hated to go to bed; and 3. Bengali songs put him to sleep the fastest. His favourite song was the Rabindra Sangeet song, Aanando Lokey. But the music and the magic would last for precisely sixty minutes, after which he'd be taken away and I'd be left broken, bare-handed and barren. As I waited for the big day, I decided to use the time to do my homework. So I read up on single parenting, repainted my bedroom, baby-proofed the bathroom, shopped for infant bowls, stocked up on diapers, researched pediatricians and interviewed full-time help. I also socialised like never before, and met friends for breakfasts, lunches, high teas and dinners, knowing soon I would be a busy new mom. I stocked up on a year's supply of girl gang madness. Then one Wednesday afternoon, I got a call saying my papers had been accepted and that I could take Atin home the following day. None of us slept that night. And the next day, at precisely 12.10 pm, amidst misty-eyed maids, sadly envious older kids, and nervous-as-hell first-time grandparents, my son was handed over to me. It was easily the happiest day of my life. But strangely it wasn't the happily ever after I had hoped for. I think the suddenness of it all and the buildup leading up to the moment of Atin's homecoming sent me into an adoptive equivalent of post-partum depression. Even though I had nested and saved up for a potential break from my career, nothing prepared me for actual motherhood. It was terrifying being responsible for everything that went into and came out of another human being, be it food or value systems. And since I had chosen to be a single parent, I was extra hard on myself. Acting out of what honestly was temporary insanity, I refused help and insisted on doing all the chores single-handedly. Also, because he was adopted, I was mortified that I'd miss the umbilical signs and not understand him in my gut, that I wouldn't feel an instinct tell me if he was hungry or sleepy or in pain. So I would gawk at him all the time, trying to understand what he needed. He in turn, looked at me like a mouse looks at an eagle. The moment I would enter a room, he'd dart in the other direction right into my mother's waiting arms -- who was happy to be his primary caregiver. It made me incredibly angry that my son was choosing to be with the person who actually delayed his entry into my life. I wanted to bludgeon every writer, poet, or artist who said, 'Motherhood is a beautiful, magical experience'. I was miserable and wept myself to sleep on so many nights. I prayed for a miracle; for some way that I could bond with my son and have him love me. My prayers were answered, so to speak, and I was rewarded with a clinical nervous breakdown. I could no longer change diapers, give Atin his midnight feed, take him for an evening walk, or give him a bath. I wasn't allowed to do any of these tasks. What I could do was to be lazy with him, read to him, and sing to him. It was in this phase that I saw Atin warm up to me slightly. He dared to crawl closer, and I began to enjoy being his mom. But surely enough, as my body began to recover, my mental health showed signs of deterioration and I looked like I was transforming into momzilla again. That's when my father, who had been relatively silent in our estrogen-driven drama, sat me down and said, 'Priya, the problem is that you're trying to be superwoman, but what Atin needs is a mother'. I was stunned because what my dad was actually saying was that I had to be more like my mother -- the one person I spent my whole life trying to be different from. I was play-acting 'mommy', not being one, and that had to change. I realised two things that day: That my son needed me to be a parent, to put his needs before my drama, and that the only thing that differentiates a good parent from a bad one, is love -- and by that yardstick, I had an excellent mother myself. Even when she made mistakes, she only ever operated out of love for me. This realisation gave me the strength to turn it all around. Today Amma, Atin, and I, are a family, since my father has passed away. Sometimes we fight, sometimes we can't stand each other, but we also love each other. Atin and I are in a good place, which really means that when his vocabulary is better, he will be telling people, 'My mother is one crazy woman -- she is pushy, critical and dominating. She always wants me to do better'. But today I see that it's not such a bad thing after all. 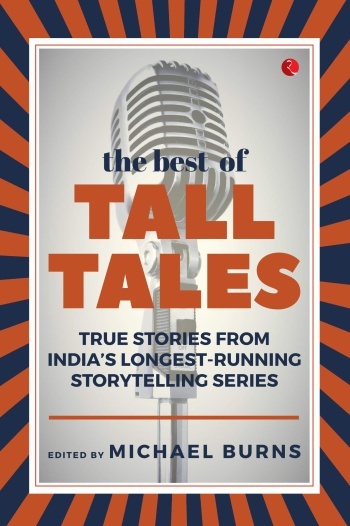 Excerpted from The Best Of Tall Tales: True Stories from India's Longest Running Storytelling Series by Michael Burns, with the kind permission of the publishers, Rupa Publications.